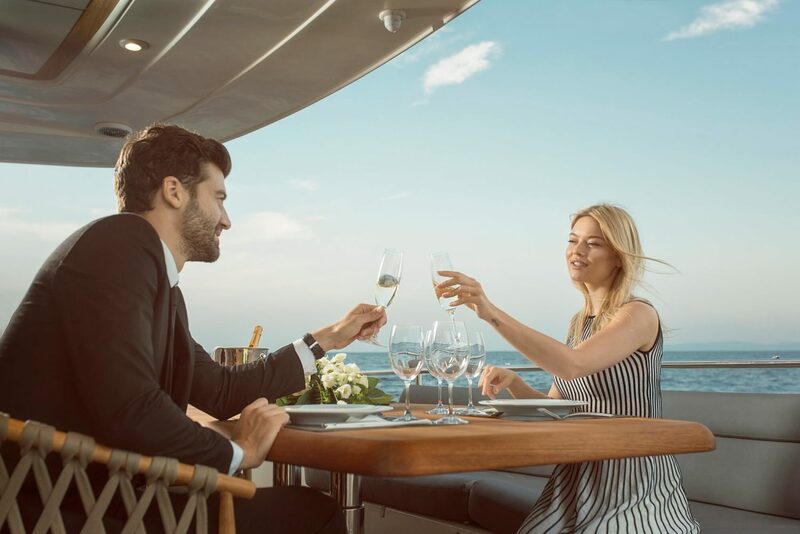 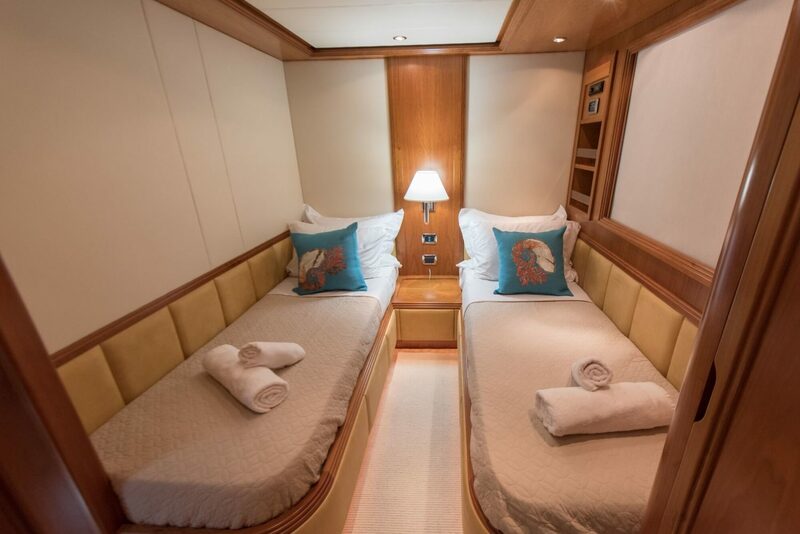 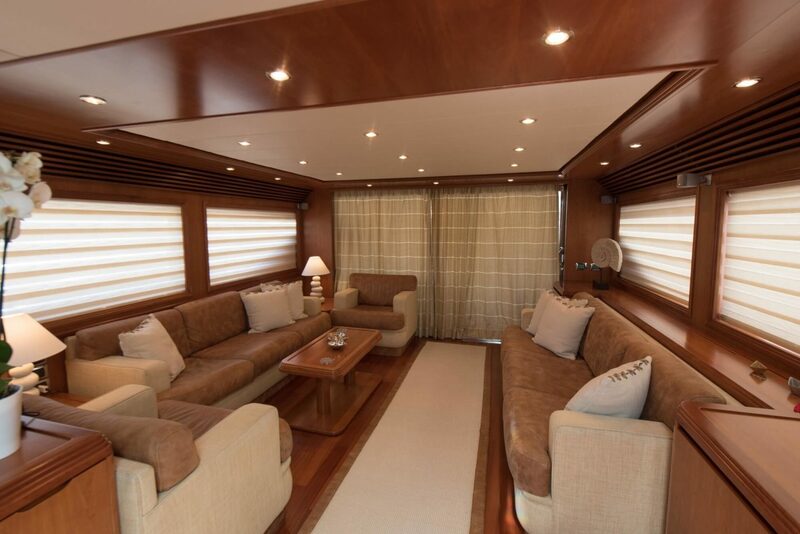 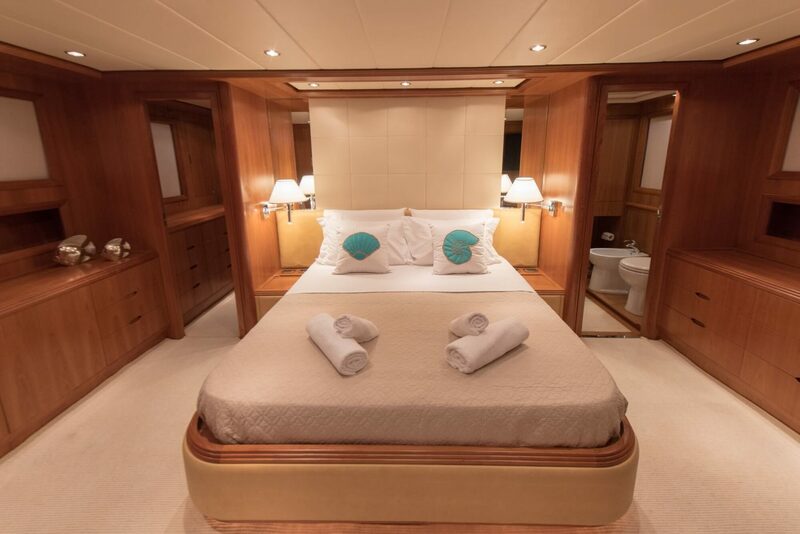 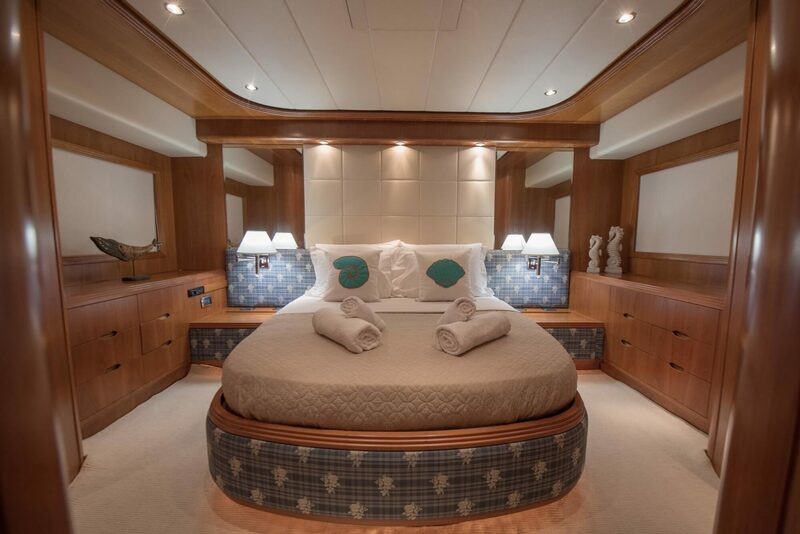 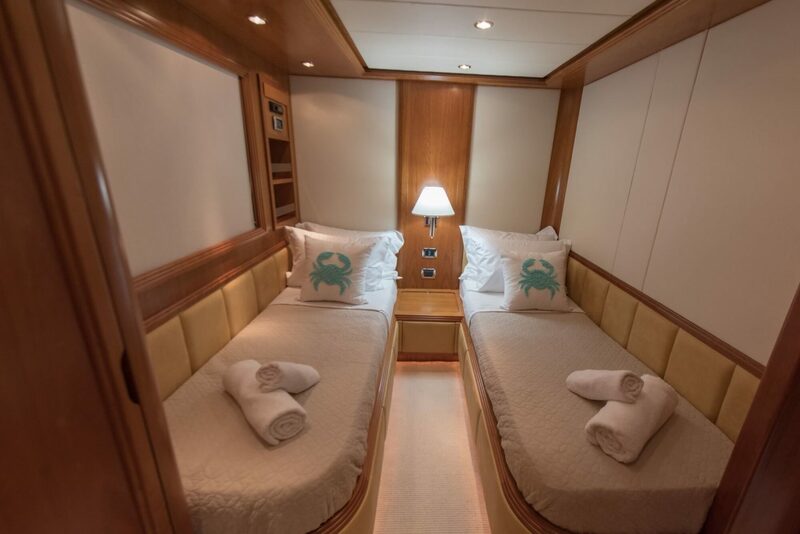 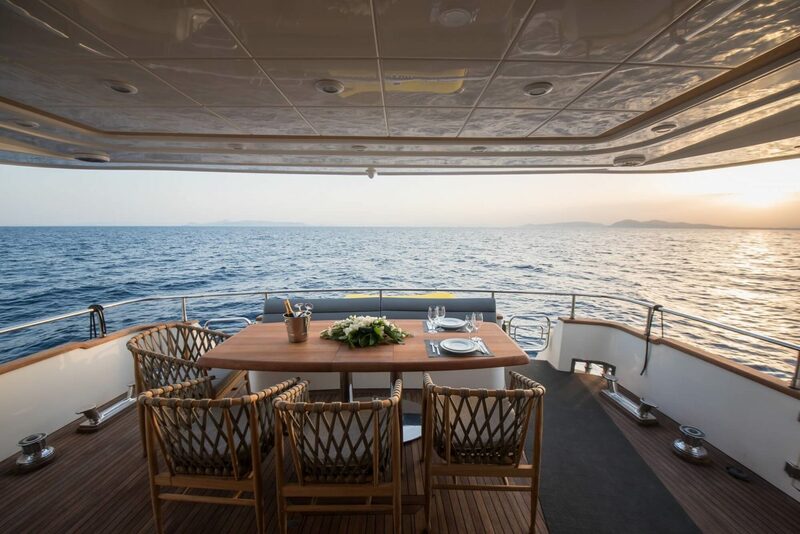 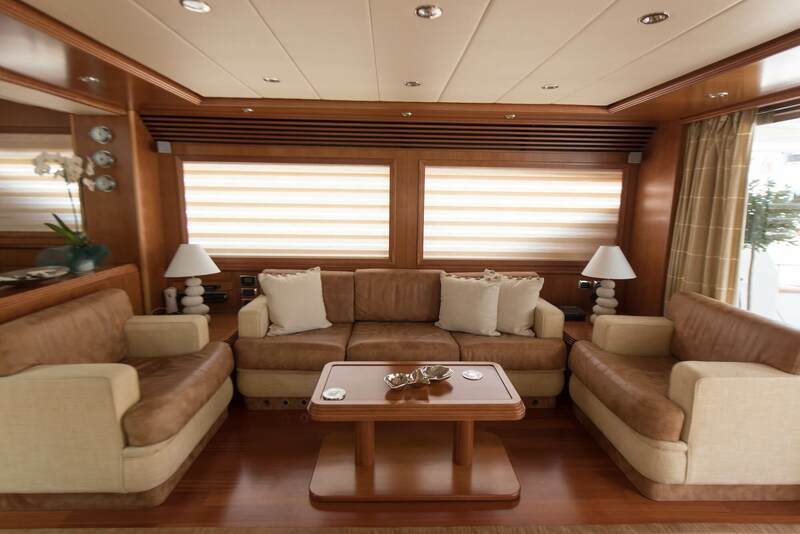 Launched in 2011 and refitted in 2018, this luxury Alalunga 78 has 23.85m length and boasts a modern styled interior with accommodation for 8 guests in 4 staterooms: two Double and two twin cabins, all with ensuite facilities. 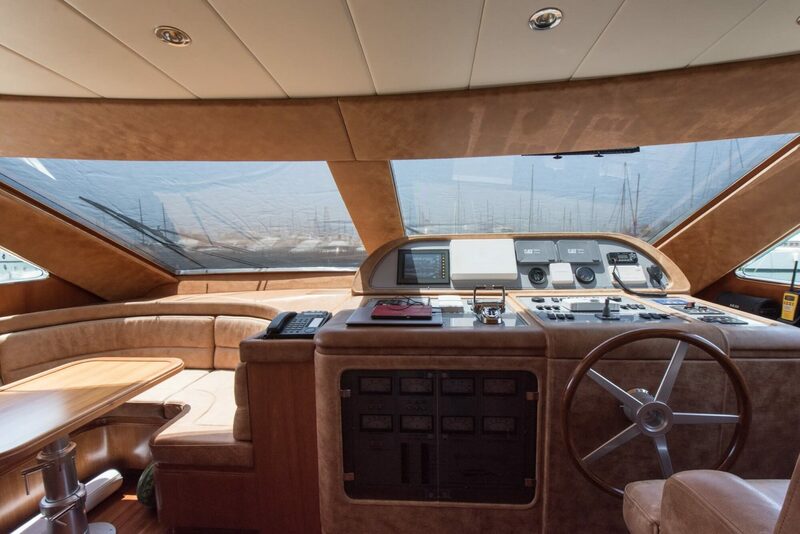 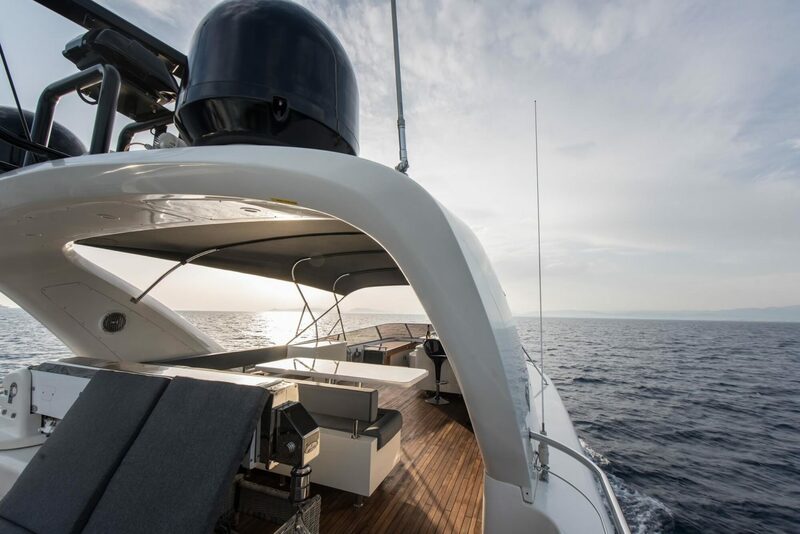 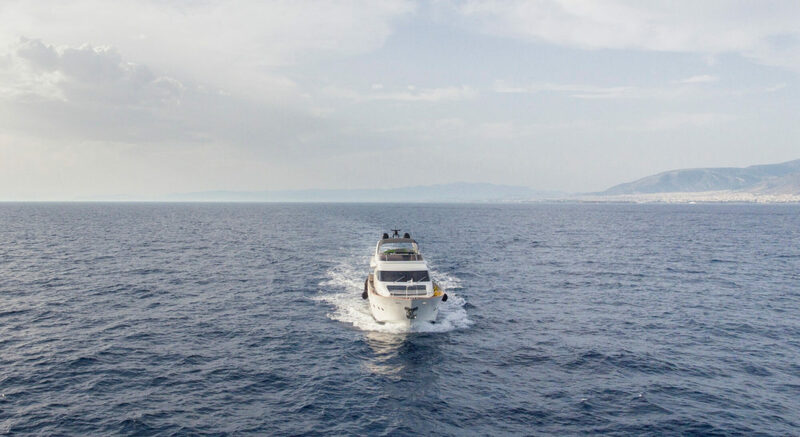 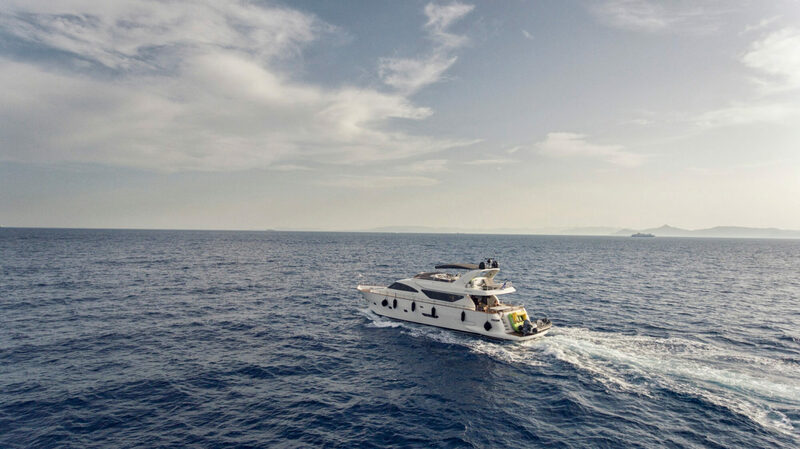 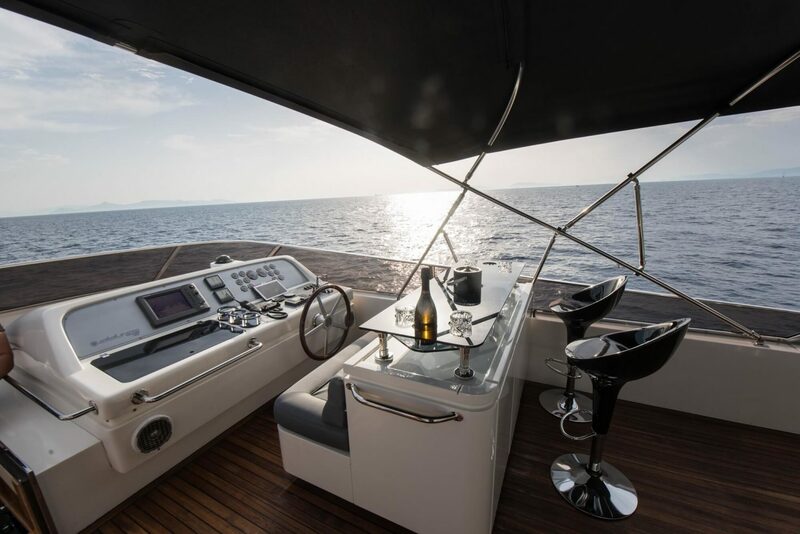 Luxury motor yacht Salty offers exceptional range and performance, and is capable of a comfortable cruising speed of 24 knots. 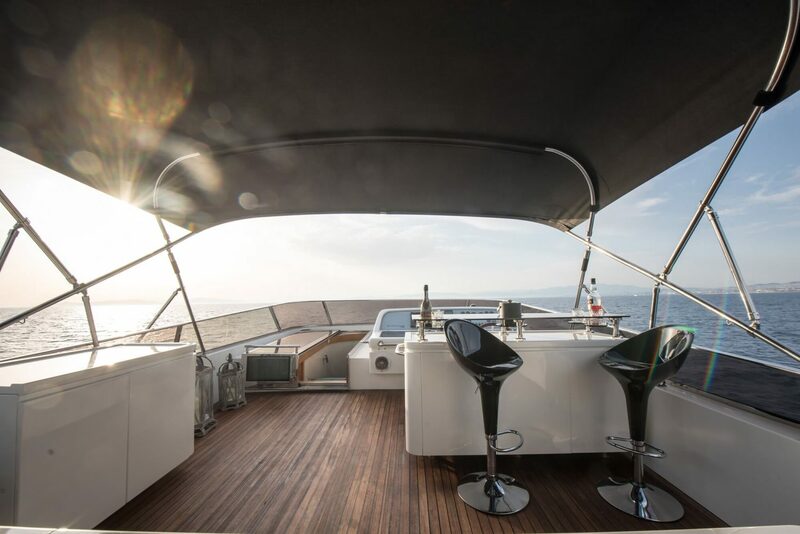 sunbathing area and easy access to the water due to her swimming platform! 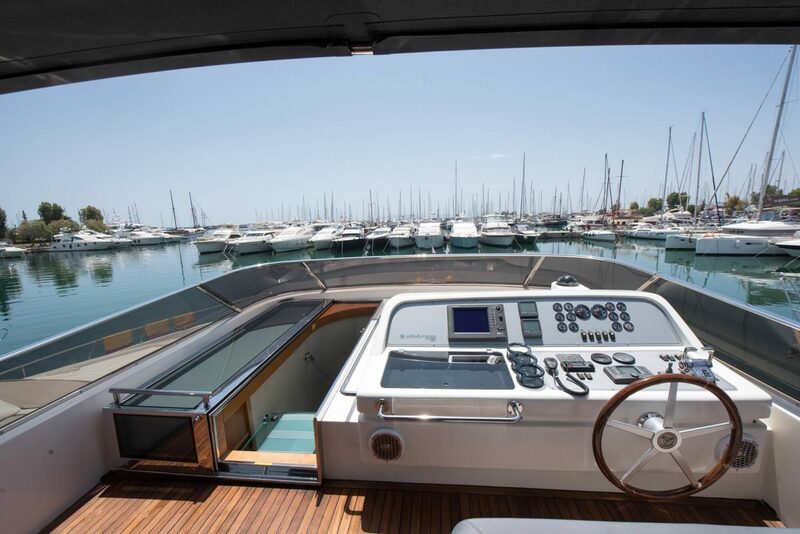 Salty also has an excellent assortment of water toys and tender and her experienced crew is ready to welcome your charter guests onboard.